Indulge yourself with these charming grey pyjamas from La Plus Belle which feature an elegant vintage print throughout. Lace trim adds an extra touch of sophistication. 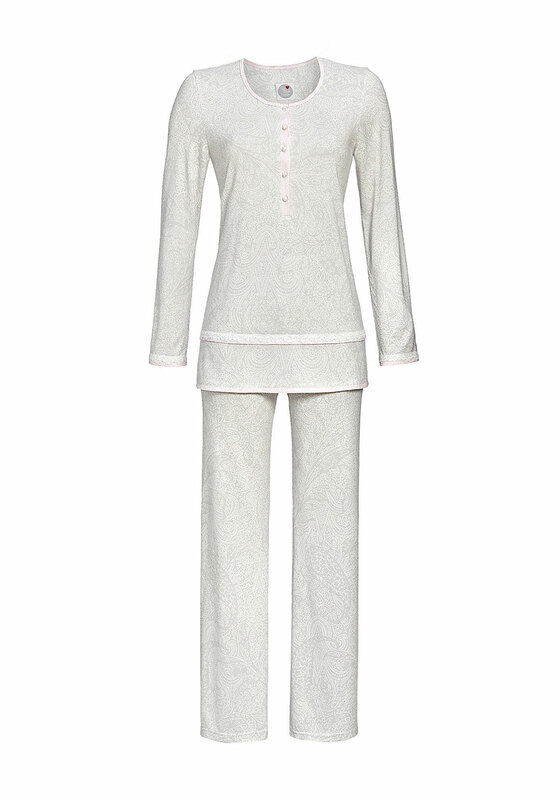 The long sleeve pyjama top is crafted from lightweight cotton blend jersey fabric and features a half button placket. The matching pyjama bottoms have a comfortable elasticated waistband.